Today I introduced legislation that would make it more difficult to raise taxes on hardworking Americans. The government already takes enough money from Americans. President Obama raised taxes by $1 trillion under Obamacare. He raised them again by $600 billion in the fiscal cliff deal. And his budget requests another $1.1 trillion in increased tax revenue. Enough is enough. I have proposed a constitutional amendment that would require a two-thirds majority in both the House and the Senate in order to raise taxes on the American people. This amendment would make it difficult to raise taxes unless there is wide consensus in both Houses of Congress. Right now, raising taxes is the "easy" way out for politicians—it allows them to avoid making tough choices about how to cut spending. But asking Americans to pay more in taxes should be our last resort. This amendment helps guarantee that it would be. 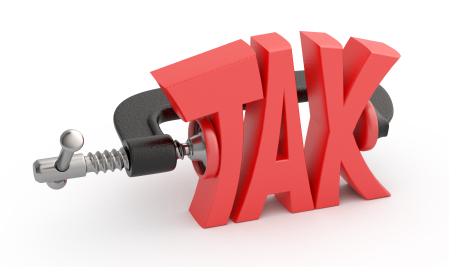 A recent Gallup poll indicates that half of Americans think their current taxes are too high, and that 64 percent expect their taxes to be increased this year. My constituents work hard to provide for their families and save for retirement. They’ve earned their paychecks, and I want to make sure the government does not take any more money away from them.